The MicroVerb™ 4 is designed to provide a wide variety of great-sounding, easy-to-use effects for small studios, engineers and performing musicians. The key to MicroVerb 4's power is in its simplicity. It offers 200 programs that include everything from high-quality reverb, delay, chorus and flange to exciting multieffects and more. To customize your programs, two front panel knobs allow for quick, easy, user-storable edits, or use its MIDI inputs for control over program changes and modulation. You can then save your edited programs in the 100-space user program bank. 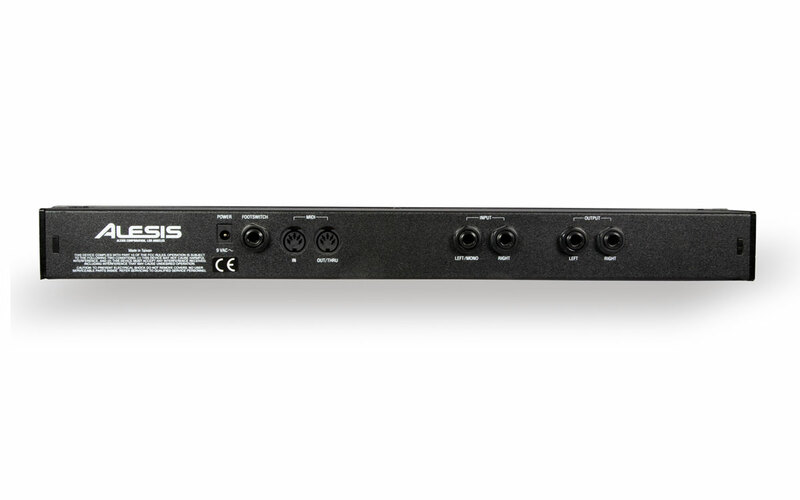 Even though it's affordable and easy to use, the MicroVerb 4 offers the superb audio quality that you should expect from every Alesis processor.